The Infinity Scarf, in sort of a basket weave pattern. 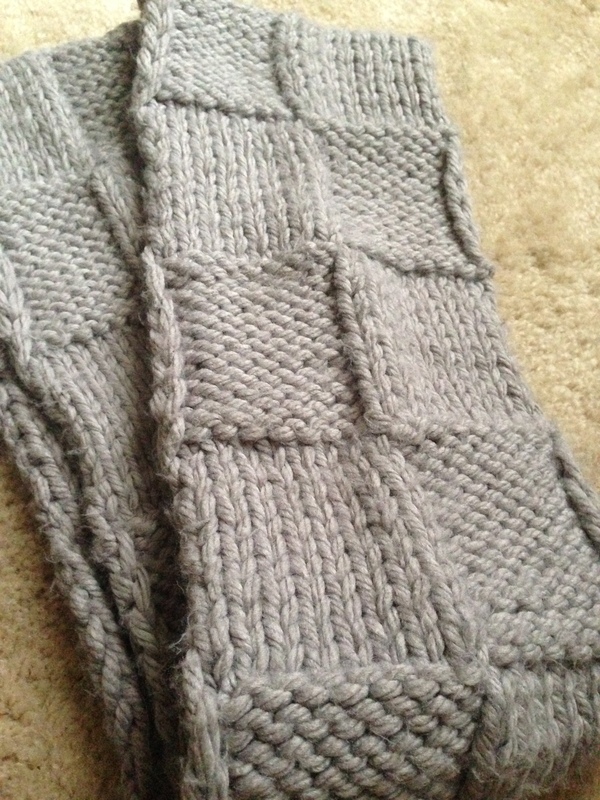 For this scarf I used Lion Brand Hometown USA in Dallas Gray. I had bought the yarn for something else and used it for a project. I had some yarn left over so I started this scarf. Well since I decided to make it an infinity scarf I needed more yarn so I went and bought some. Now I know what you’re going to say, “When starting a project make sure that you buy a sufficient amount of the same dye-lot.” I know, I know, big mistake. And because I didn’t the yarn didn’t match, not so much the color but in the thickness of the yarn. It is not noticeable to the naked eye but still I can tell. This was a quick knit because the yarn is a category 6 weight and was made on size 13 needles. I’ve used this yarn again and again because I love how quick it knits up and the warmth it provides. Its also great because it is Made in the USA and is machine washable and dryable. Have you ever run out of yarn and not have the dye-lot match?